What is nearsightedness or myopia? Ask Optometrist Dr. Blaize. What is nearsightedness or myopia? Nearsightedness, or myopia, is a vision condition in which you can see objects up close clearly, but not as well at distance. Nearsightedness can be corrected with glasses or contact lenses. What is nearsightedness or myopia? 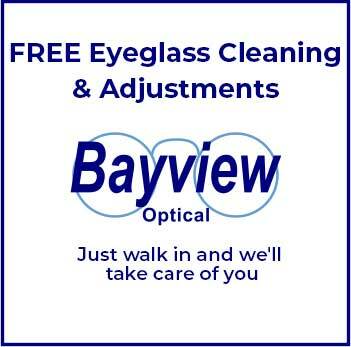 Call 248-482-2020 to make an appointment with Optometrist Dr. Blaize to find out more. Glasses & Contacts for Myopia I’ve been coming to Bayview Optical for about ten years. Everyone there is always so welcoming and professional. I couldn’t imagine a better experience and selection for my glasses and contacts needs for my myopia. I am Nearsighted The staff and doctor are knowledgeable and always pleasant; I actually look forward to my annual checkups! I have been coming here for over 11 years and I have always been very satisfied with the service that I have received. It is easier to remain consistent with checkups since I enjoy the interaction with my optometrist and his staff; my vision has benefited as well. ‘Eye, laddie!